I am idly glancing at the Cyprus Mail newspaper one day earlier this year and come across an article about English sparkling wines. In a moment of quiet reflection, I realize that I am mainly writing about French, Canadian and Cyprus wines but not paying attention to what is happening with wines in my homeland! With United Kingdom wines now on my radar, I decide to look for an opportunity to try English and maybe Welsh wines on our next trip to the UK. Such an opportunity presents itself this spring. A visit to a favourite place in London, The Royal Academy of Arts, established in 1768 and housed at Burlington House in Piccadilly, followed by lunch with a long time friend at their new restaurant, The Keeper’s House, provides the perfect occasion. We each have a glass of Chapel Down white wine, a clear, shining white with good acidity and full of apple flavours as befits a wine from the great English apple growing area of South East England. This Pinot Blanc 2010 was a refreshing complement to our fish lunch. 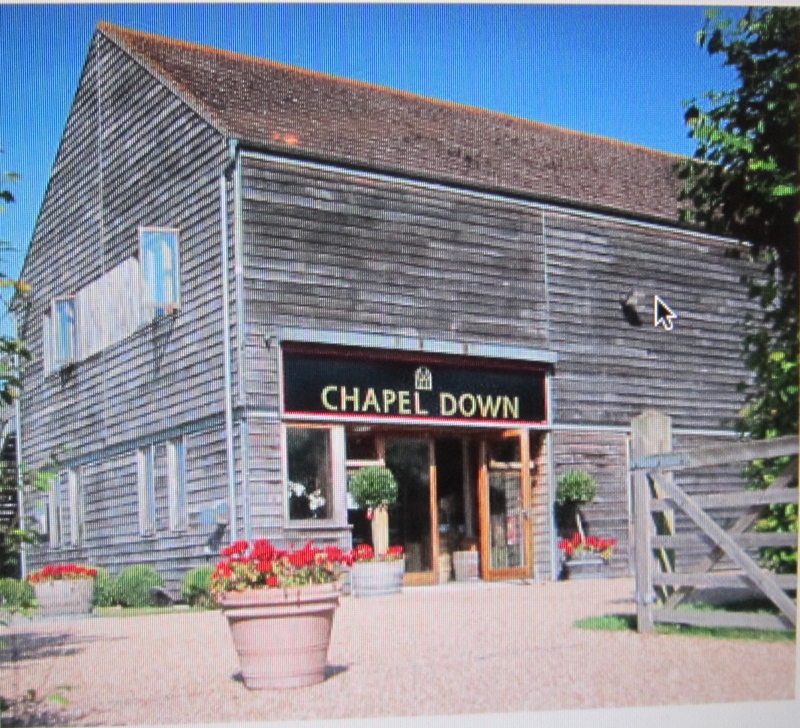 Subsequent exploration of Chapel Down winery reveals that it is one of the top English wineries. It won several trophies in the annual wine industry 2014 English and Welsh Wine of the Year Competition. This competition is organized by the United Kingdom Vineyards Association (UKVA), and apparently is the only competition in the world judged entirely by Masters of Wine. The United Kingdom Vineyard Association (UKVA) website is a mine of information. In reviewing it, I learn an important definition when considering wines from the United Kingdom. “English or Welsh Wine is made from fresh grapes grown in England or Wales and produced in UK wineries. All of the UKVA members grow grapes to produce this type of wine. An important distinction to avoid making an unintentional wine faux pas when either buying or ordering UK wine. Back to The Keeper’s House at the Royal Academy. A conversation with an employee reveals an interesting twist to their menu preparation and wine and food selection. 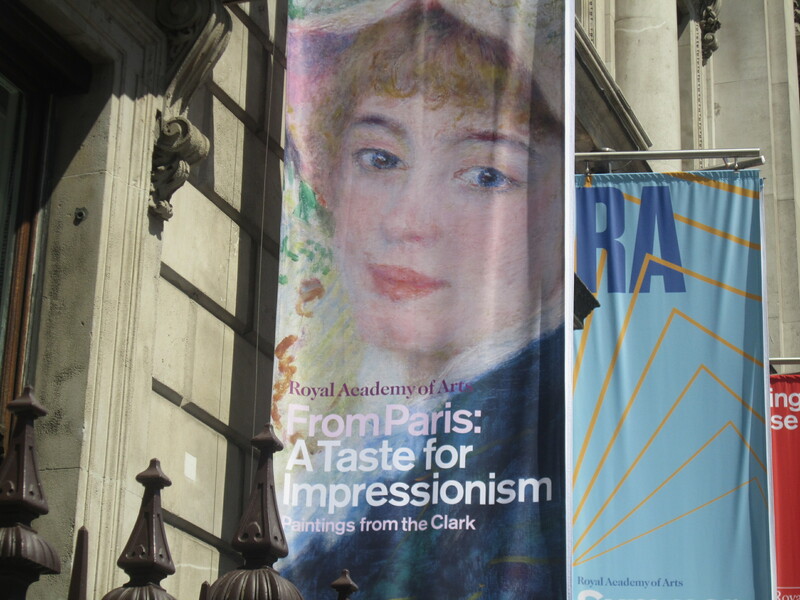 They not only design their menus to reflect the changing seasons but also in some small way to reflect the essence of Royal Academy exhibitions. Like most major art galleries, the Royal Academy restaurants take great pride in presenting good value food and wine selections. The new seasonal menu is being developed and fine-tuned. Along with the seasonal change in food selections, comes a change in wine offerings which helps showcase different wineries. The new wine selection includes two wines from Davenport Winery in East Sussex. The Davenport Horsmonden 2013, is a dry white made from a blend of 5 grape varieties. The wine notes indicate that there are nuances of lemon and nettles; I can’t wait to taste this! The selection also includes the Davenport Limney Estate sparking wine produced from Pinot Noir and Auxerrois. Davenport is an organic winery and another prizewinner in the 2014 English and Welsh Wine of the Year Competition with their sparking wine the first organic sparking wine to win a trophy. 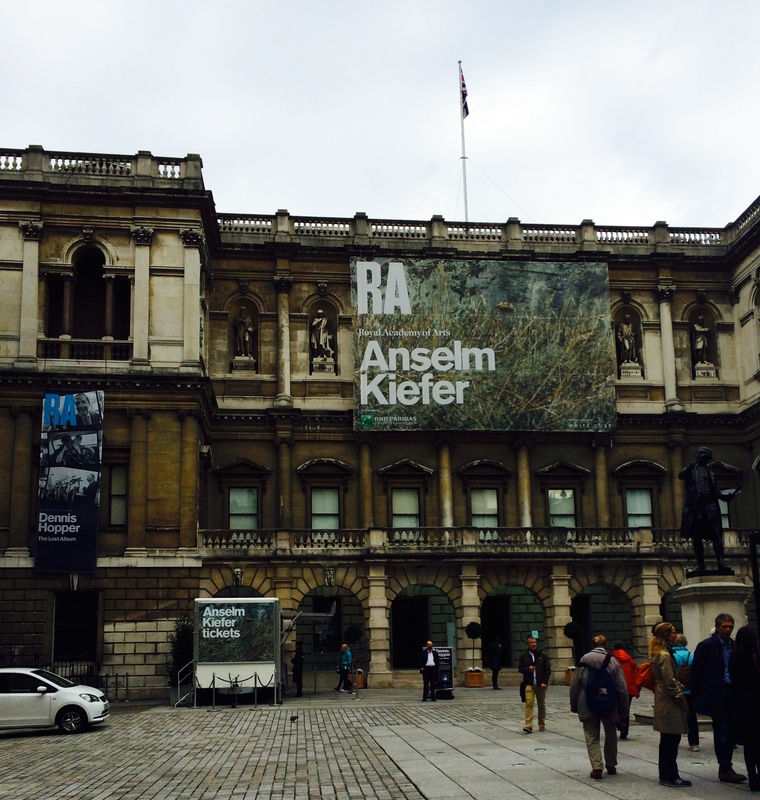 The next major Royal Academy exhibition runs from September 27 to December 14, 2014 and features the works of contemporary German artist, Anselm Kiefer who is an Honorary Royal Academician. Some say his art is rooted in his beginnings: the end of the Second World War and the start of the new era in which we are still living. Regarded as a colossus of contemporary art, and “one of the most imaginative, original and serious artists alive” (RA Website/The Guardian), this exhibition of the work of Anselm Kiefer has all the hallmarks of an intriguing visit. A post-visit glass of quintessentially English wine will surely encourage a stimulating discussion. So having had a brief introduction to English wines what about trying some Welsh wine I ask myself? Our visit to the UK includes a brief visit to Wales and in particular to the wind swept beaches of the Gower Peninsular in South Wales. What better place to taste some Welsh wine! We do this at Fairyhill hotel and restaurant located in Reynoldston, Gower. A review in Moneyweek Magazine/The Guardian recently noted: “for foodies and wine lovers, delightfully informal Fairyhill is a Welsh institution”. Fairyhill is famous for their deep-fried cockle canapés which are served in a small dish in the same way as one would serve peanuts. These are a favourite of mine not only because they are delicious but also because they remind me of my childhood visits to Wales. We enjoy the cockles as we decide on a wine to drink with dinner. To pursue the idea of sampling Welsh wines, we order a bottle of Rosé from Ancre Hill Vineyard, Monmouth, a more recent winery whose grapes were first planted in 2006. A light (11% ALC/VOL) wine with strawberry overtones, this Rosé could be a summer sipping wine. As we finish our visit to the UK, I realize my window on English and Welsh wines has been opened by a couple of inches only. There is clearly much more to learn and appreciate to get the full view of this industry. 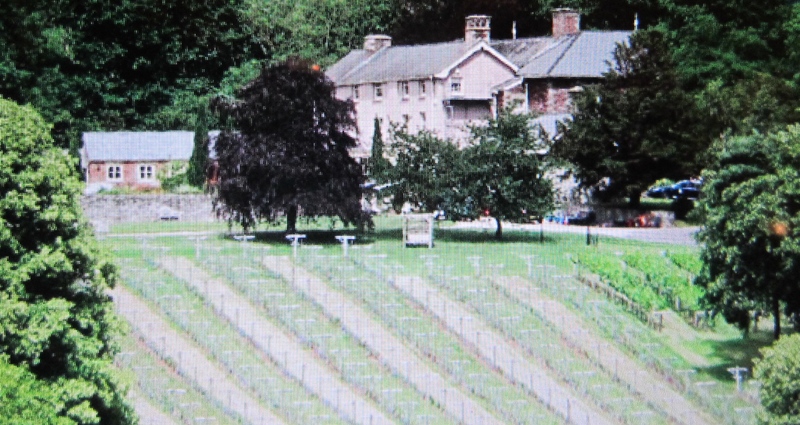 History indicates that vineyards were first established in Britain during the 300 years of Roman occupation. Organizations such as the Royal Academy of Arts, Fairyhill and others are providing wine lovers with the opportunity to taste contemporary English and Welsh wines. They are increasingly getting the recognition they deserve.